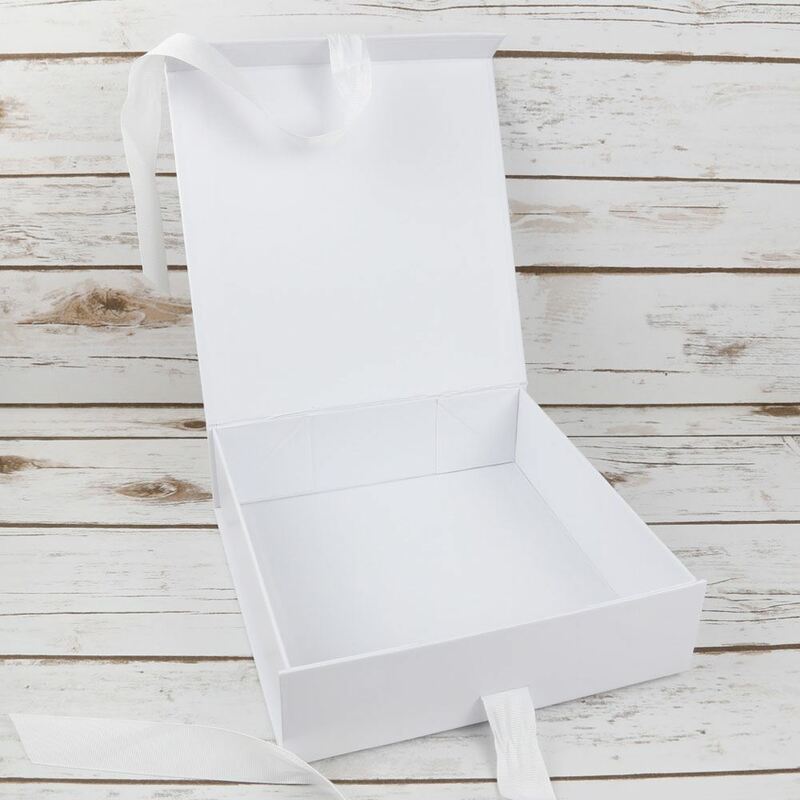 Perfect for storing order of service cards, invitations, your garter, horseshoe and maybe your tiara (size dependant)? 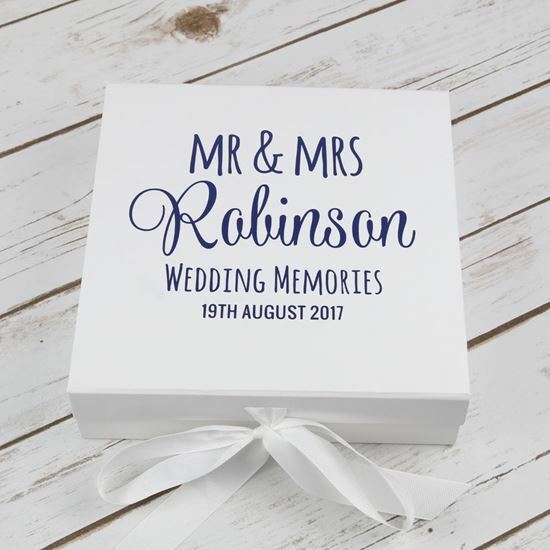 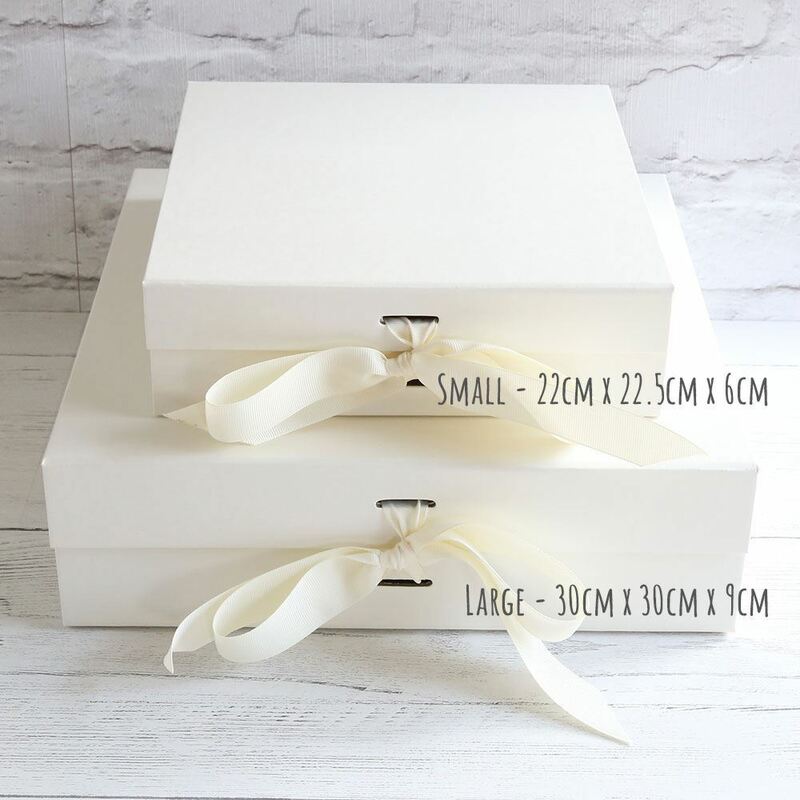 These are high quality board boxes come in a wide range of sizes and colours and with your choice of vinyl wording. 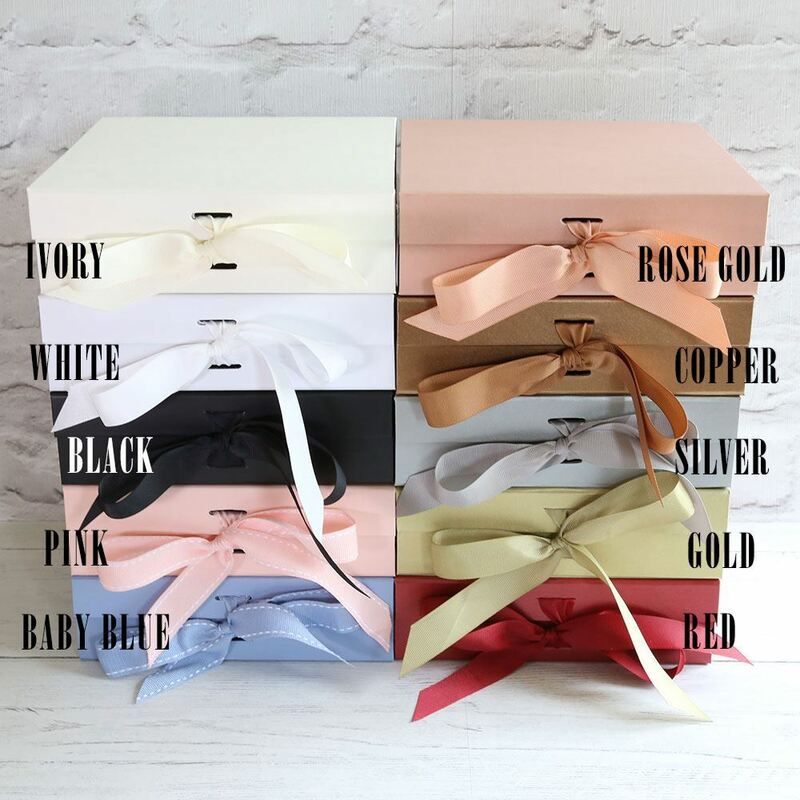 The box comes with a magnetic snap shut lid and is finished with a matching white bow. 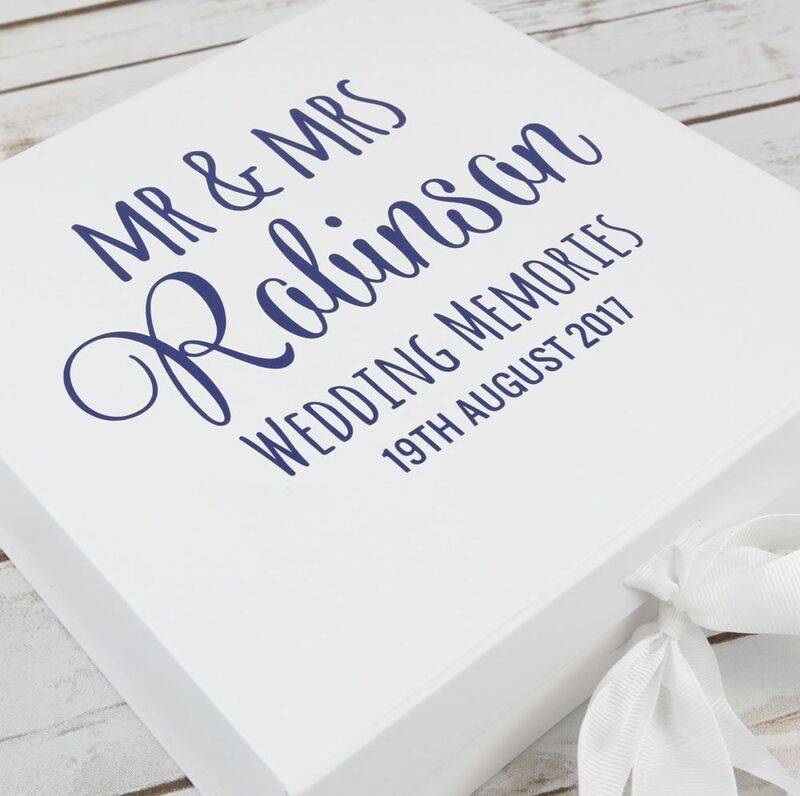 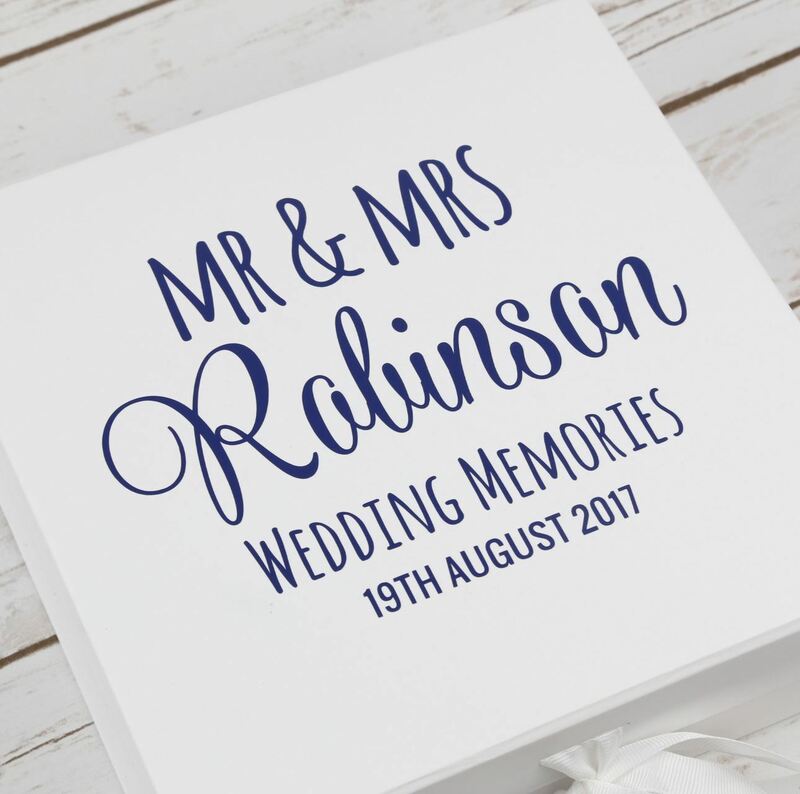 Please enter the surname of the couple and wedding date in the comments box when you order.